Sexual orientation disparities in suicide behavior are well-documented. Yet, few studies have examined how developmental assets – key values, self-perceptions, skills, relationships, and opportunities that have been identified as the building blocks of positive youth development – are associated with suicide behaviors, particularly among sexual minority youth. 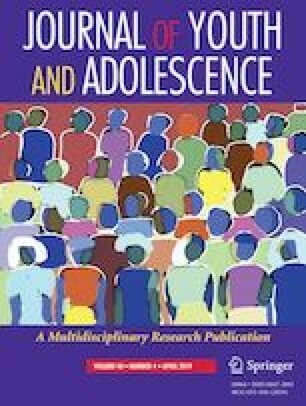 This study examined concurrent associations between young people’s developmental assets and suicidal behavior by sexual orientation using a large sample of 116,925 in-school U.S. adolescents (ages 11 to 19, M = 14.74, SD = 1.78). Most of the sample identified as only heterosexual (90.2%); 5% identified as mostly heterosexual, 3.5% as bisexual, 0.6% as mostly lesbian/gay, and 0.7% as only lesbian/gay. Most participants identified as White, non-Latina/o (62.6%) and as cisgender female (50.3%) or cisgender male (47.8%). Compared to only heterosexual adolescents, youth with all other sexual orientations reported lower levels of internal and external developmental assets except for non-sports extracurricular activity participation and social justice values. Identifying as a racial/ethnic minority, particularly for only heterosexual adolescents, and specifically as Latina/o for sexual minority adolescents was associated with greater risk for suicidal behavior. Further, identifying as a gender minority exacerbated risk for suicidal behavior. Relatedly, when youth reported feeling unsafe with their family, or in their school or neighborhood, they were at greater risk for suicidal behavior, regardless of sexual orientation. Feeling hopeful was associated with lower risk for suicidal behavior for all youth. Regardless of sexual orientation, planning and decision-making skills were associated with lower risk and social-emotional skills were associated with heightened risk for suicidal behavior. School boundaries and social justice values were associated with lower risk for suicidal behavior among bisexual adolescents; there were no additional protective assets for mostly/only lesbian/gay adolescents. In conclusion, sexual orientation disparities exist in the lives of adolescents for several internal and external developmental assets. Disparities in suicidal behavior by sexual orientation, however, were largely unexplained by differential associations between developmental assets and suicidal behavior. We thank the young people who participated in the study. The project described was supported by Grant Number SRG-1-146-14 from the American Foundation for Suicide Prevention. The content is solely the responsibility of the authors and does not necessarily represent the official views of the American Foundation for Suicide Prevention. Support for this project was also provided by a Loan Repayment Award by the National Institute of Minority Health and Health Disparities (L60 MD008862; Toomey). We thank Stephen T. Russell who provided feedback on an earlier version of this manuscript. RT conceptualized and designed the study, carried out the initial analyses, drafted the initial manuscript, and reviewed and revised the manuscript; AS conceptualized and designed the study, and critically reviewed the manuscript for important intellectual content; MF carried out a portion of the analyses and reviewed the manuscript for clarity. All authors read and approved the final manuscript as submitted and agree to be accountable for all aspects of the work. The project described was supported by Grant Number SRG-1-146-14 from the American Foundation for Suicide Prevention. The content is solely the responsibility of the authors and does not necessarily represent the official views of the American Foundation for Suicide Prevention. Support for this project was also provided by a Loan Repayment Award by the National Institute of Minority Health and Health Disparities (L60 MD008862; Toomey). The manuscript’s data will not be deposited. The University of Arizona IRB determined that the secondary analyses for this project were exempt from IRB approval. All procedures performed in studies involving human participants were in accordance with the ethical standards of the institutional and/or national research committee and with the 1964 Helsinki declaration and its later amendments or comparable ethical standards.